Consider Sponsoring a Global Project! When submitting a capstone project, sponsors can indicate whether or not they are interested in sponsoring a global capstone design team that pairs students at Penn State with students at an international partnership university. 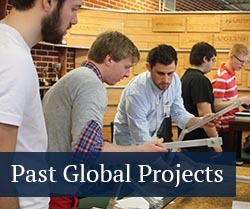 Global projects allow students to work in an environment that is more closely aligned to what they’ll experience in industry: collaborating with international teammates, many of whom they will not have met. Global projects also provide opportunities for students to develop an appreciation for cultural differences and learn how to work within them. Sponsors of global projects experience benefits as well. These include having a wider variety of perspectives approaching the design problem and a larger team working on the project. Longer work cycles, due to time differences, are possible and can increase productivity. We’ve found that global projects often result in deeper engagement from students on the design problem. 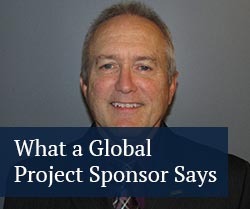 Sponsoring a global project incurs an additional sponsorship fee of $1,000. Although we try to accommodate all sponsorship requests, demand for global projects can exceed the number of international partners we have available.